Sri Lanka‘s only marine sanctuary, Hikkaduwa is the place for underwater delights where there is a marine sanctuary abundant with rare corals and tropical fish. 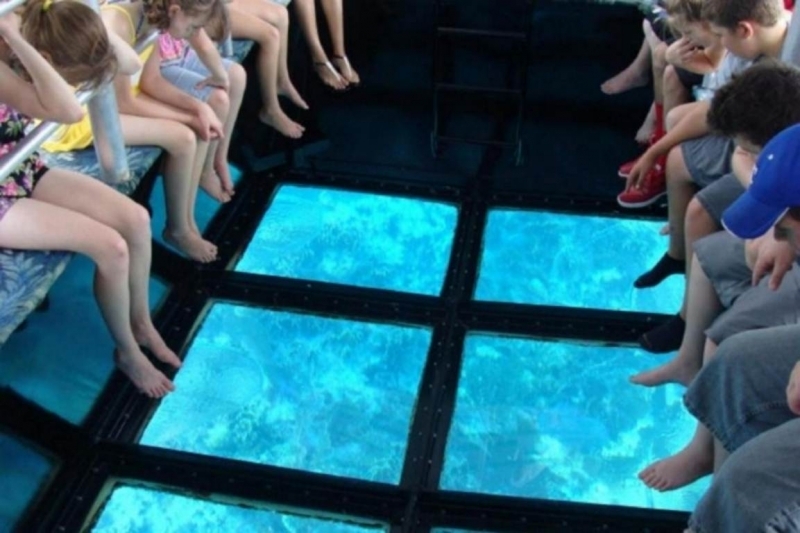 The underwater world of colorful corals and beautiful shoals of fish can be explored either by snorkeling or taking a ride in a glass bottom boat..
"If your are in Hikkaduwa then one must try the glass boat ride. As you reach the beach early you are surrounded by a few boat operator, bargain is possible. Just ask the right price at the hotel you stay. Its a half hour ride when one can see various coral, fishes and a big turtle. 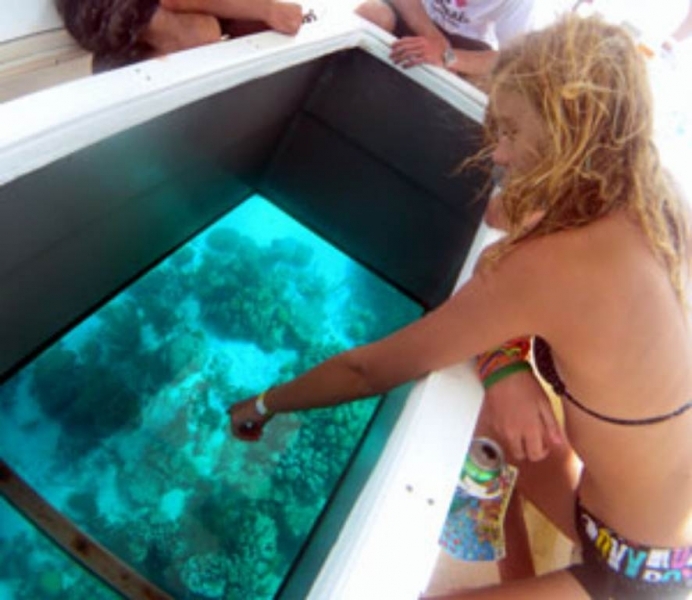 Being the first time I was on a glass bottom boat, it was worth an experience." 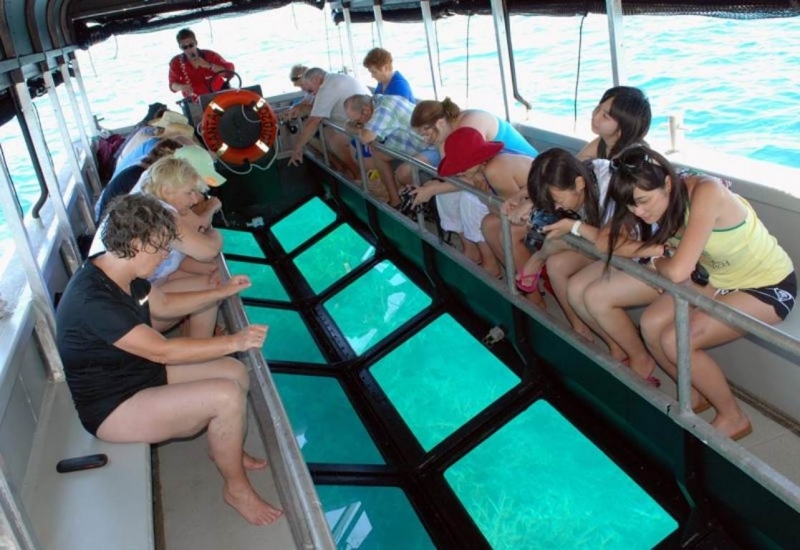 "actually it was an amazing and unforgettable experience although it was little scary.we went to watch corals by glass bottom boat. I was lucky to watched various types of colorful fish and corals.it was amazing!!" " We loved the beach, it was nice enough to swim in and clean. But one did get bombarded by the boat boys to take the glass bottom boats - they will not leave you until somehow they know your party has already taken one. There are other locals who walk along the beach to try and sell their wares. Lots of café and restaurant along the beach front. We did see a lot of fishes and some turtles, but we also saw them right on the beach front at well, so I guess you don't always need to take the boat trip, though that way you do see more variety I guess. This is a nice beach area to stay in for sure, lovely beach, lots of restaurants, shops and also ayurvedic spa's."